Michael is my brother. 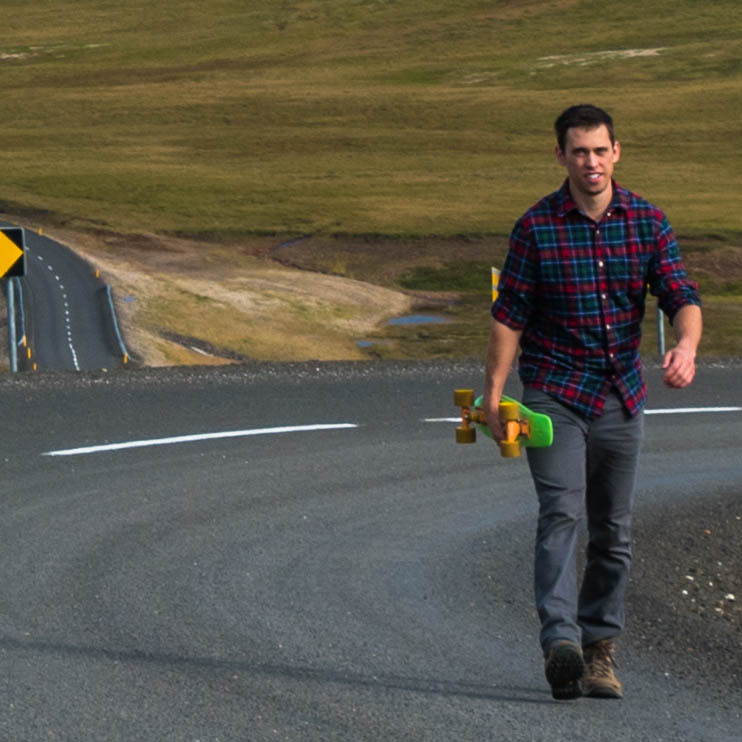 This trip to Iceland was his first time leaving North America. Reads too much, lost most of his eyesight by age nine. 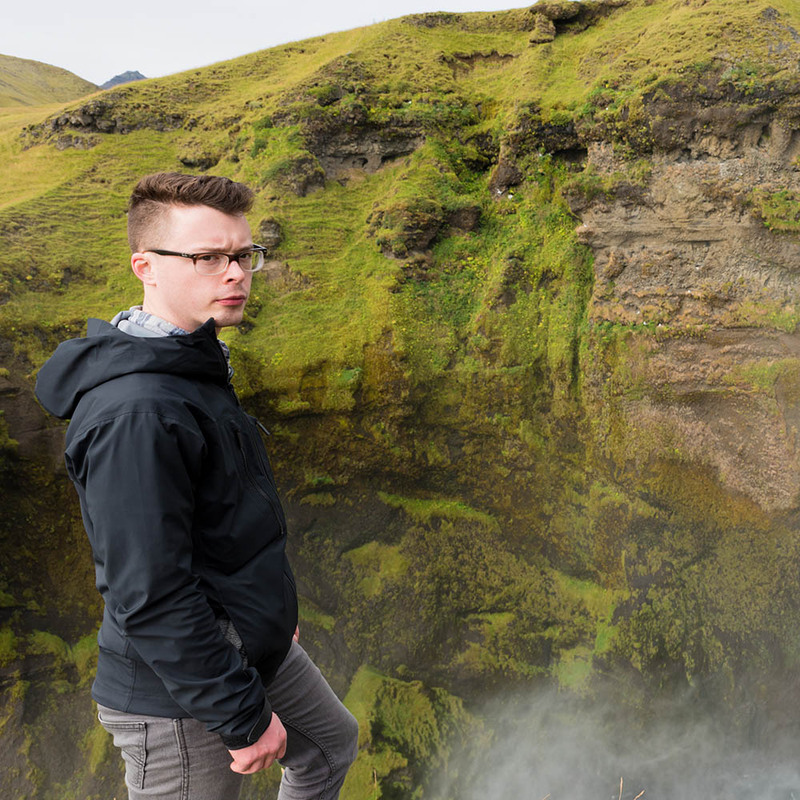 Known for his graceful cliff-diving, Colin was with me on our first Iceland adventure two years ago. 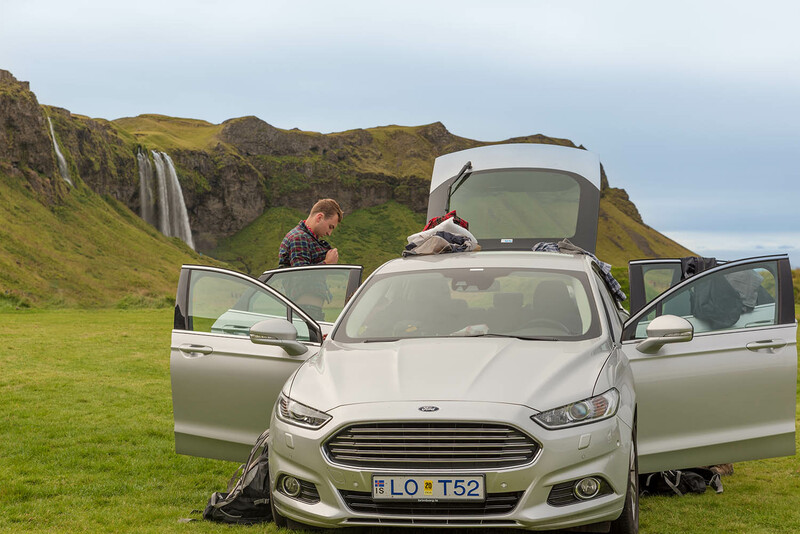 The only quality way to see Iceland is to rent a car. 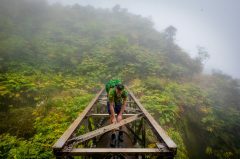 Getting on a tour bus or staying near the city is really going to limit your adventures. 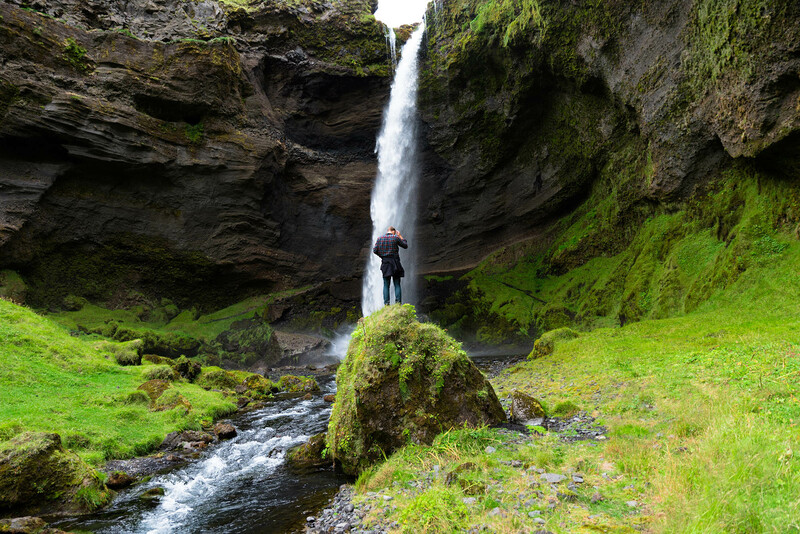 The greatest places you'll find in Iceland are off the beaten path. If you always have to get back on a tour bus at a certain time, you'll miss out on a ton of cool stuff. Car rentals here are very expensive, especially during the summer, and gas is going to cost a pretty penny too... Around 8 USD a gallon for diesel and more for unleaded. Do yourself a favor and rent a diesel car to get the most out of your mileage. we split our car and fuel costs four ways, so it wasn't that bad. Day 1 we did 'The Golden Circle.' 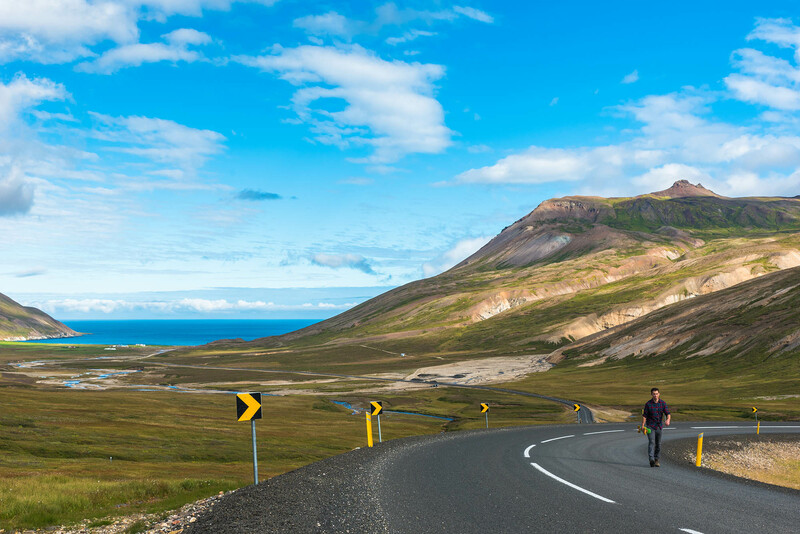 The golden circle is basically a driving route a couple hundred kilometers long that takes you to a few interesting landmarks that are somewhat near the Reykjavik area. 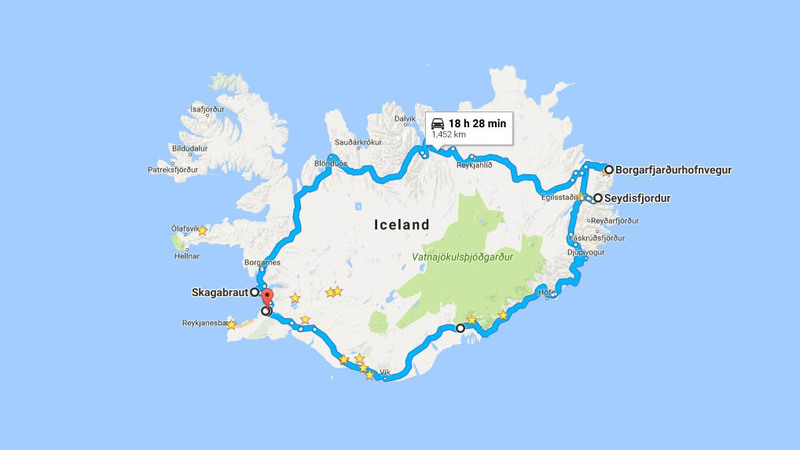 This trip only takes a day so make sure to have more planned for your trip to Iceland. The Golden Circle is like the appetizer of Iceland. It's neat, especially if it's your first time in the country, but the real good stuff (main course) is going to be in the south, east and other outskirt areas as you follow route 1 around the entire country. 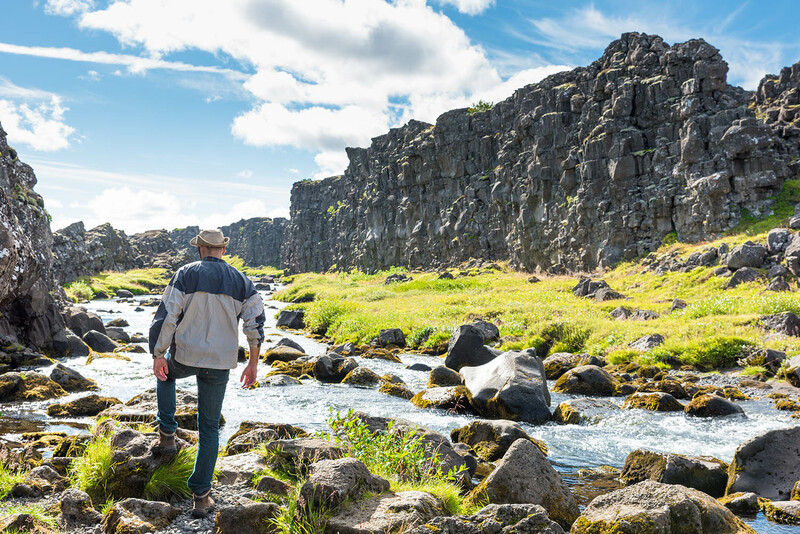 Thingvellir National Park is where two tectonic plates collide. 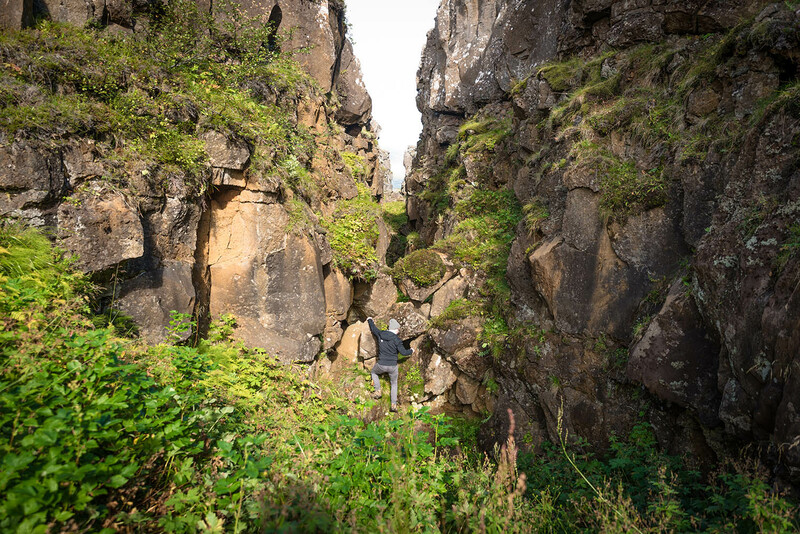 You can literally climb down and get between the North American and Eurasian tectonic plates. 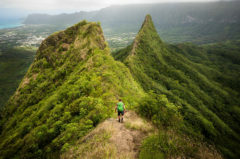 If you like to climb around and go off the path, it's easy to spend more time at this destination compared to the other two... Bring a football or a blanket and have a picnic. 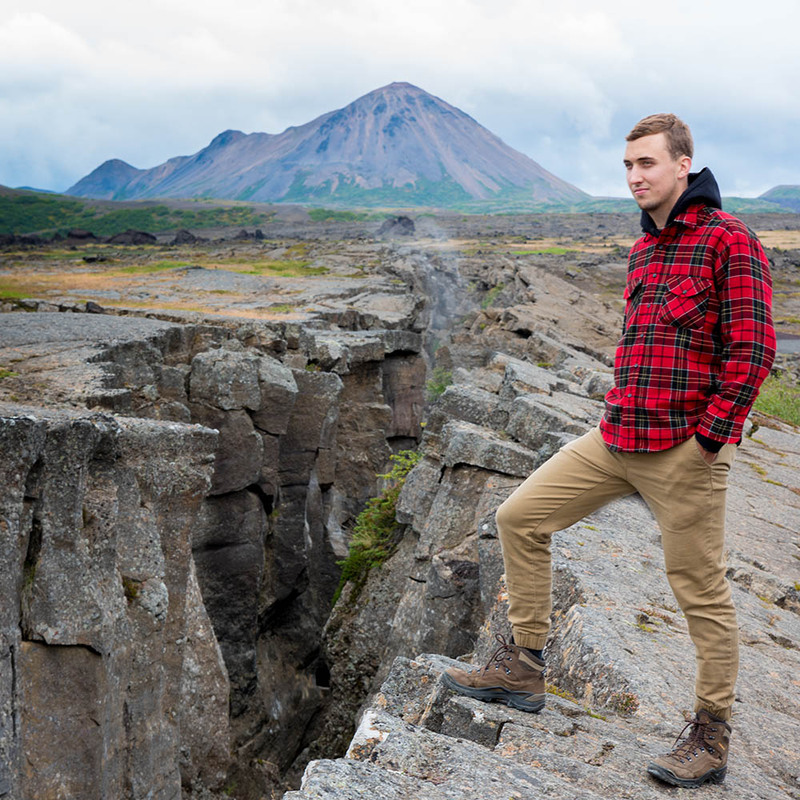 Michael and Cody gallivanting on a tectonic plate. 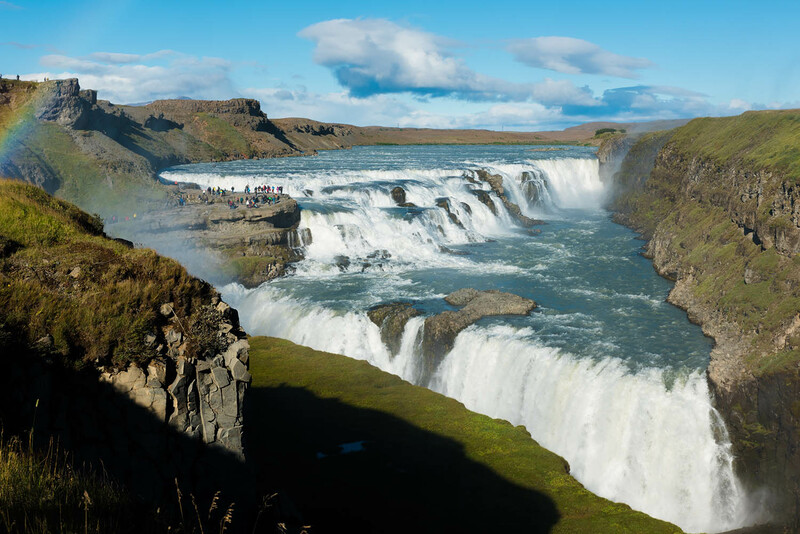 The most impressive sight along the golden circle route, this giant waterfall pumps a massive amount of water down and through a miniature Grand Canyon-esque valley. Give yourself an hour or so for this location. This geyser (named Geysir) is the first geyser to be written about in text and the geyser to which all other geysers have been named after. Cool to see, but not really a location you can spend more than an hour at without getting bored. After the first day spent doing the golden circle, we set out on our mission around the island. Over the next week or so, we hiked deep into the wilderness each day and camped in our tent each night with the glow of the northern lights to put us to sleep. 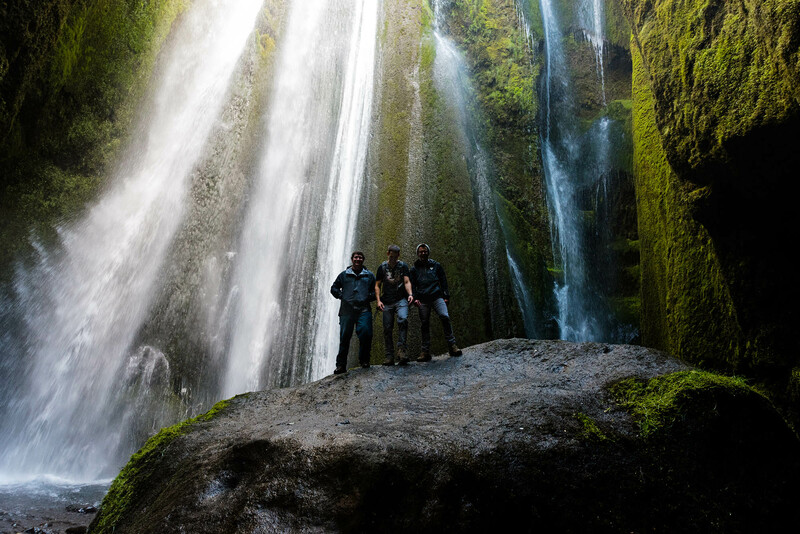 The Four Amigos Waterfall - Status: Secret - Me, Cody, Colin and Michael found this waterfall after another long and super epic quest into the mountains. 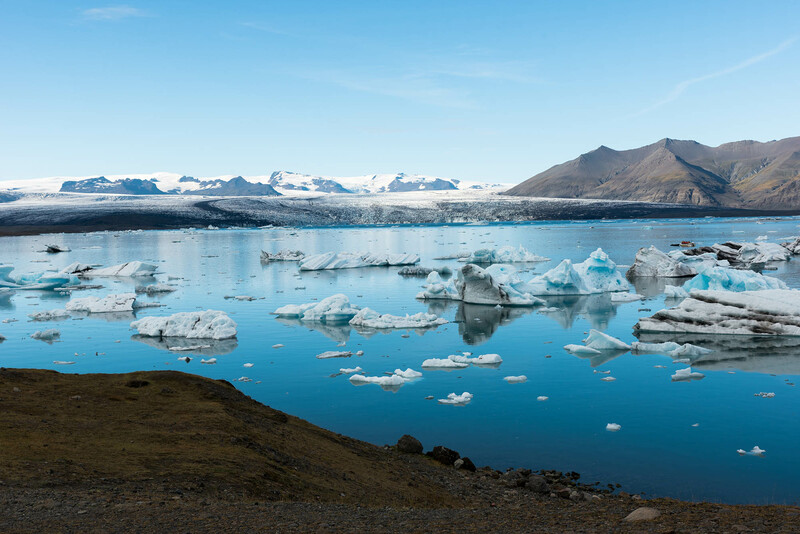 Jökulsárlón is pretty much the last stop on the list for most tourists. It's about 5 hours from Reykjavik but definitely worth the drive. Made of melted glacier water combined with some ocean water, if you're lucky you can even spot a few curious seals playing amongst the icebergs. 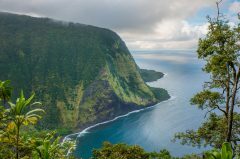 Like all the other areas I've mentioned on this page, entering all these sights and attractions is completely free. 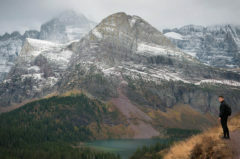 There are no park permits or entrance fees like in an American National Park. Borgarfjörður is probably the most beautiful city in all of Iceland, or at least tied with Seyðisfjörður. 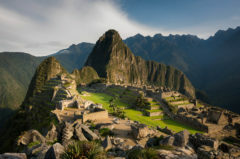 It's also a city very few people know about or visit. It is the furthest city from Reykjavik, on the complete opposite side of the country. 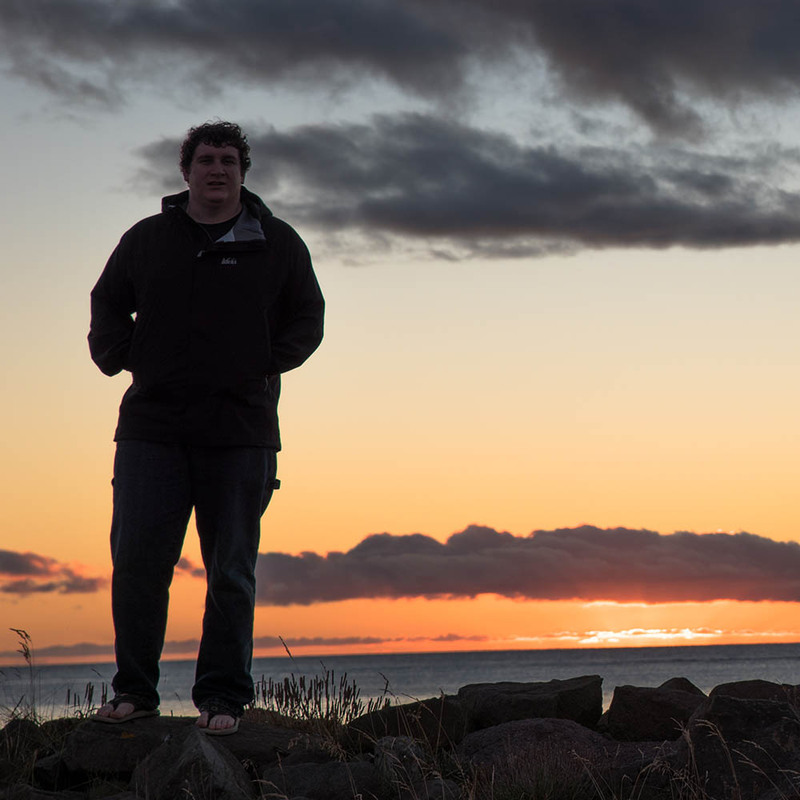 A long drive to get here is worth it if you wanna walk in the footsteps of Walter Mitty, or check out a bunch of Puffins that migrate here during the summer. It also seems to always be sunny in Borgarfjörður. If you wander off into the mountains, you can essentially camp anywhere you want in Iceland (once you get out of the city). Nobody's gonna hassle you, and nobody is going to be around to see you to hassle you. But in the event that you don't want to wander off into no-man's land every night to camp, here are the three best campgrounds we stayed at during our trip. Probably my favorite. 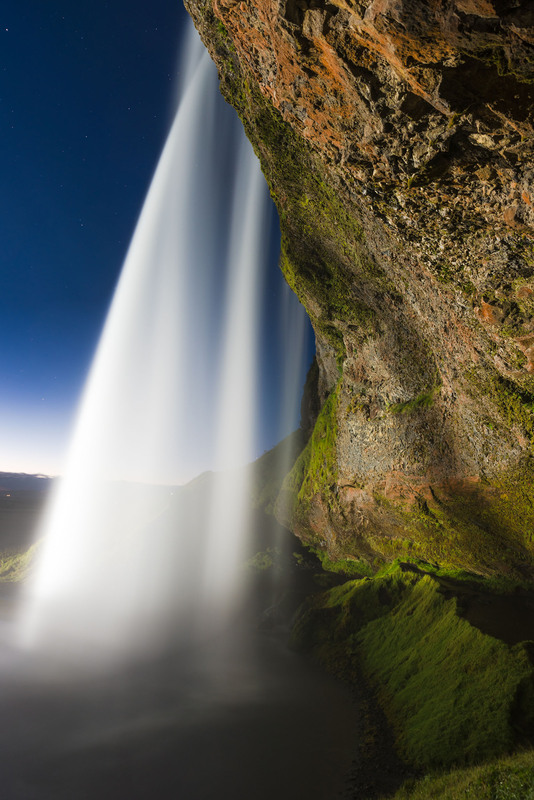 You literally get to sleep under a waterfall here, and Seljalandsfoss is right over your shoulder off in the distance. Very cool. 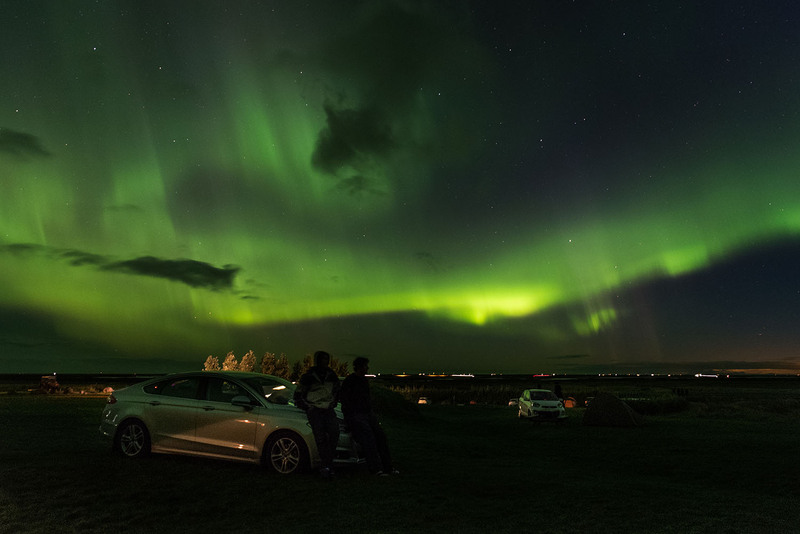 You can even see the Northern Lights if you have a cloudless night like we did. We stayed at a campsite in Vik, we arrived at night, couldn't really see anything, in the morning everything looked beautiful and there was a bathroom and tiny kitchen area to heat up some food. This one wasn't as cool as Hamragarðar, but it was convenient, and lies within a super cool little city (Seyðisfjörður). 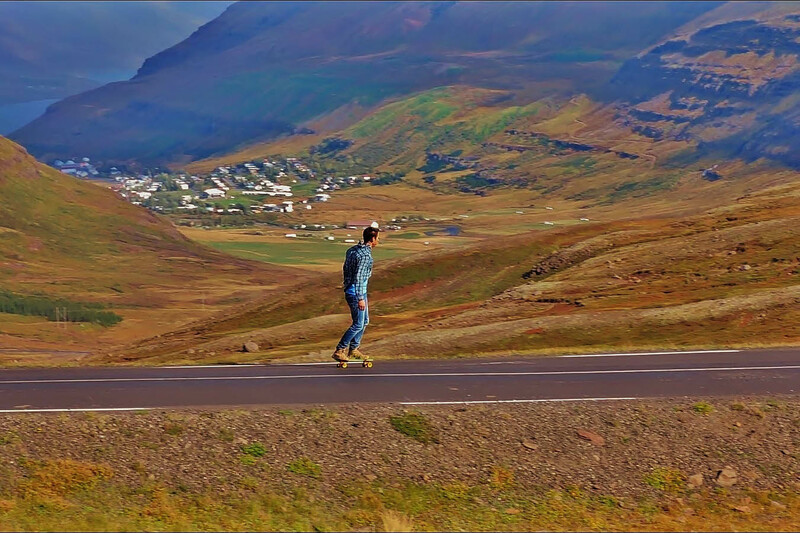 This is the village (population 665) where Ben Stiller filmed his longboarding scene in "The Secret Life of Walter Mitty," the inspiration for me to come to Iceland in the first place, two years ago. 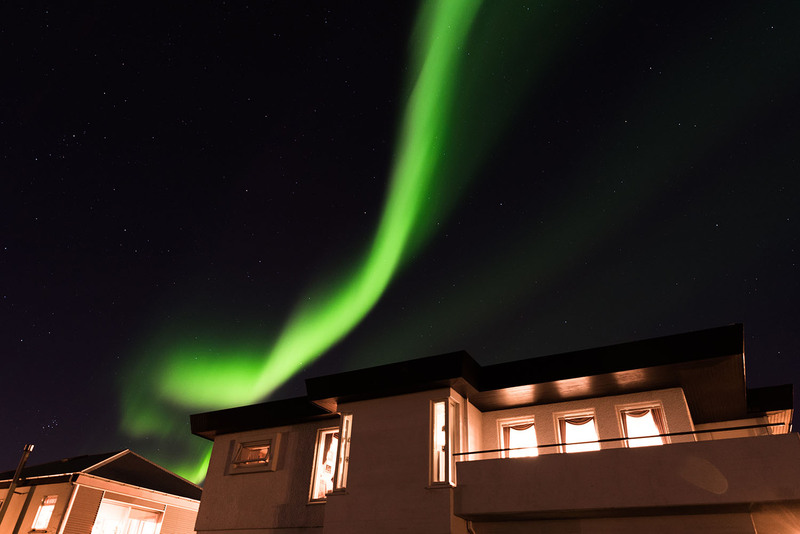 Aurora borealis above our Airbnb home. Use my coupon code to get $35 bucks off airbnb if you want. Is camping free in Iceland? Once you're out of the city and into the wilderness, you can kind of camp wherever you want, within reason. 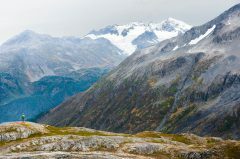 Like, don't set up a tent in some farmers front yard, but if you wander out into the hills/mountains a little ways, nobody will care if you camp, and there will be nobody around to see you anyway. 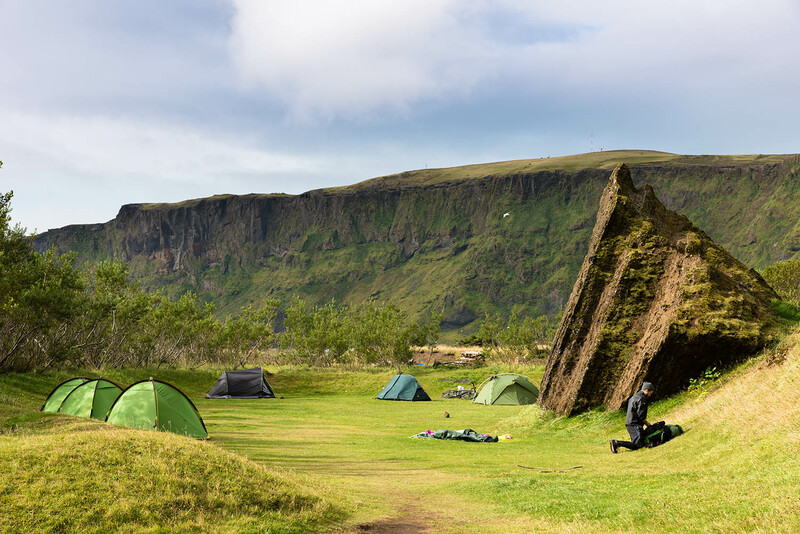 There are also designated camping areas around Iceland where you pay for a spot for your tent (around 10 bucks a person). This also gives you access to a little indoor building with bathrooms, pay-for-use showers, and often a stove-top or microwave / sink area where you can cook some food. 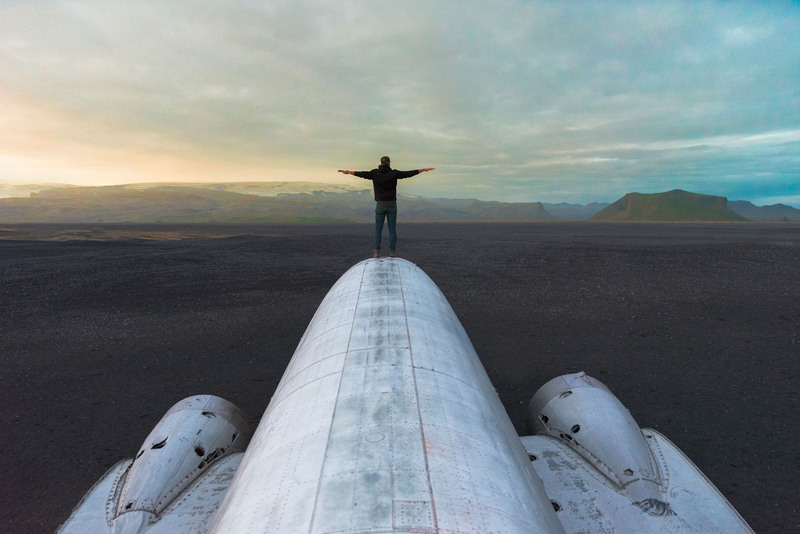 Where is the crashed plane-wreck on the black sand beach in Iceland? 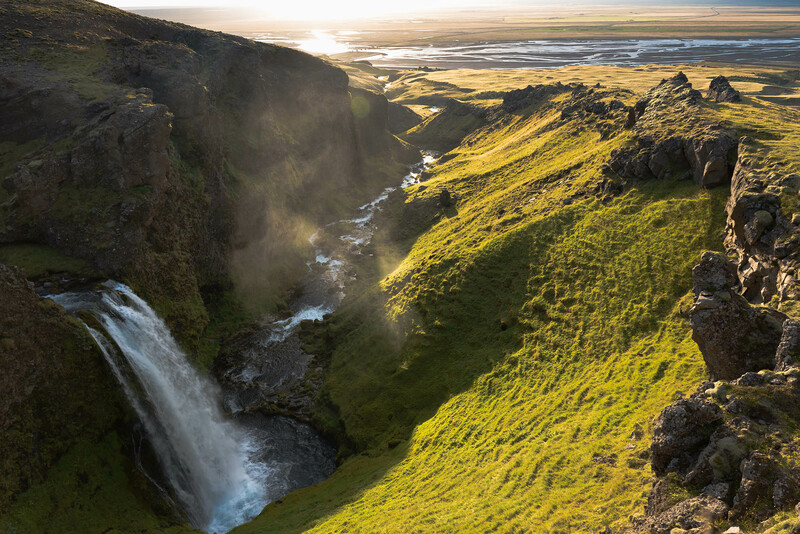 How to save money in Iceland? If you're broke like us, you can avoid paying for super expensive Iceland food by bringing your own. International airline tickets usually come with one or two free checked bags per person. Me, Cody, Colin and Michael each checked a cardboard box full of food that we bought in Minneapolis from Target... We left these boxes in the rental car and ate from them every day like a kitchen pantry. This was convenient for when there was nowhere around to buy food. Before the flight home we just recycled the empty boxes. Is food expensive in Iceland / How much does food cost in Iceland? Yes, food is super expensive, the only place you can buy somewhat reasonable-priced food is at a discount grocery store (like Aldi's in America). For example, we went to a crummy gas station restaurant and ordered 4 fast food burgers and a thing of fries to share... cost 50 bucks (when converted to USD)... needless to say, we didn't buy food often and resorted back to our cardboard boxes..
Can an American drive in Iceland? Yeah, no problem. The driving situation is exactly the same but some of the roads on route 1 are a little narrow and cliffy. There are also some super fun gravel/dirt-road shortcuts that go through the mountains. Probably a good idea to have a spare tire. 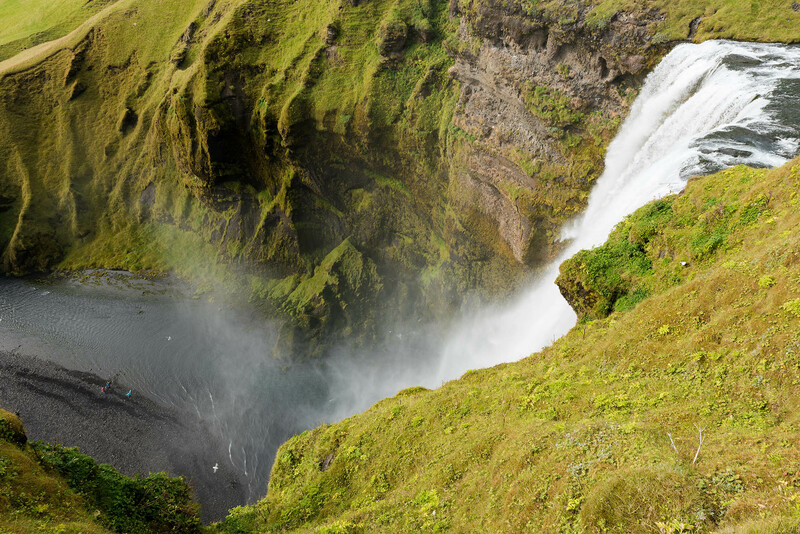 Are the national parks in Iceland free? 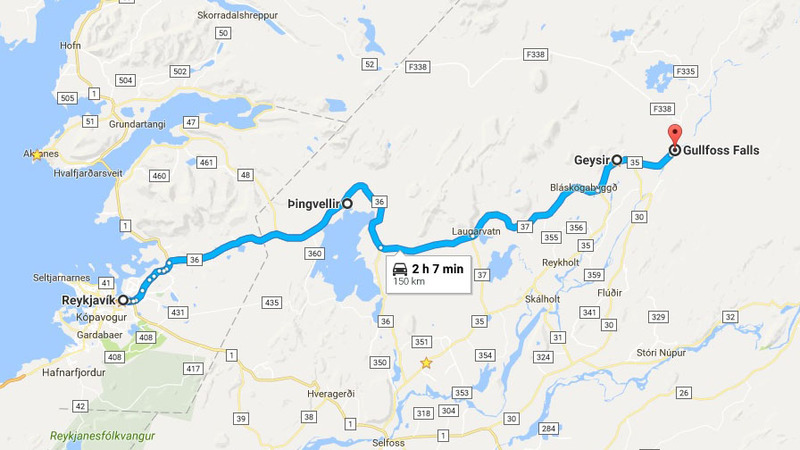 Is route 939 a good shortcut if I'm headed to Seyðisfjörður or anywhere in the northeast? Oh yeah, it's a great dirt road through the mountains that saves you a solid 45 minutes. If you're scared of heights I might think twice, though. 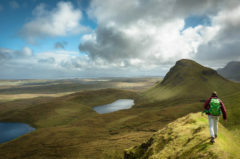 Where was "The Secret Life of Walter Mitty" filmed? My first blog post goes over all that, check it out HERE.